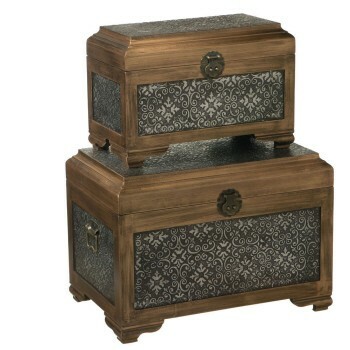 Stunning antique silver and wood trunk storage chest set. Very detailed embossed metal on fiberboard siding. Made of medium density fibreboard and tin. Measurements- 19 in. L x 12 in. W x 13 in. H.